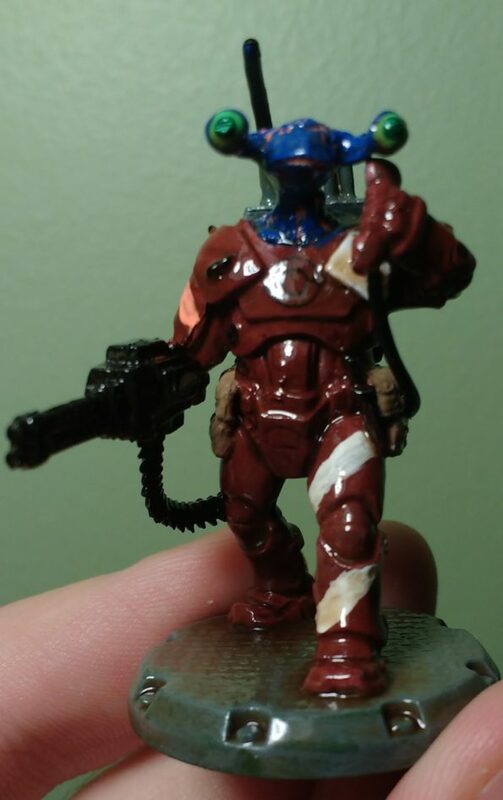 For my second Oogappel alien I modified the Commander from Dust Tactics’ Corp Officers Heavy Rangers Squad with one of Hasslefree Miniature’s Alien Heads. I got a new shade of red for this one and I was pleased with how it turned out. Otherwise, I thought that the finished product got the job done but continued to be frustrated by the random success or failure of drybrushing. When it works, it’s great…but it doesn’t seem to work for me consistently.